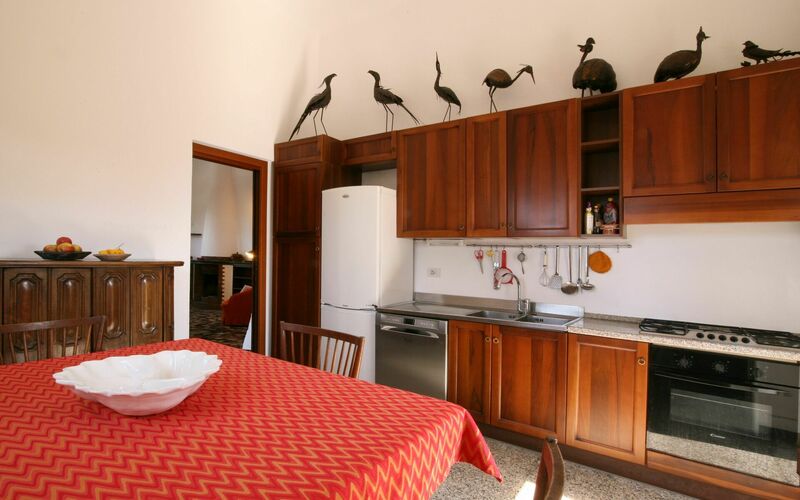 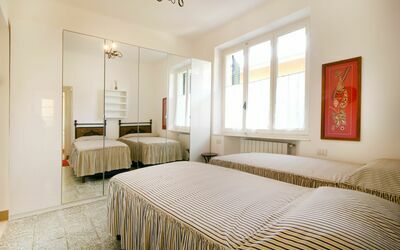 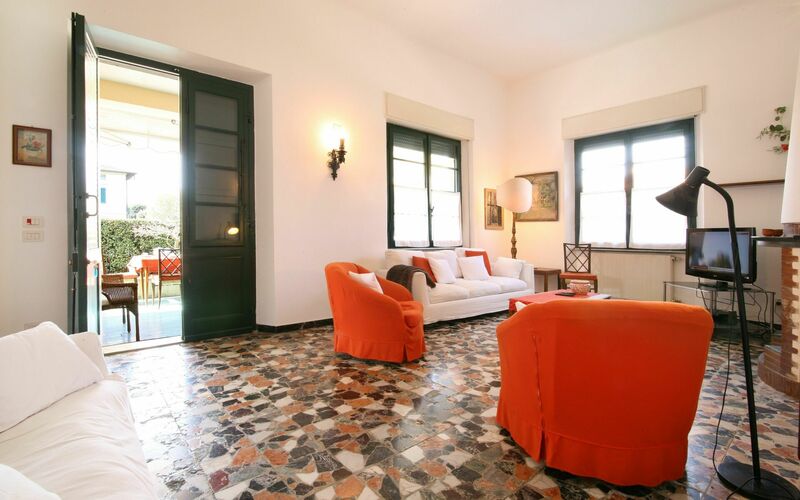 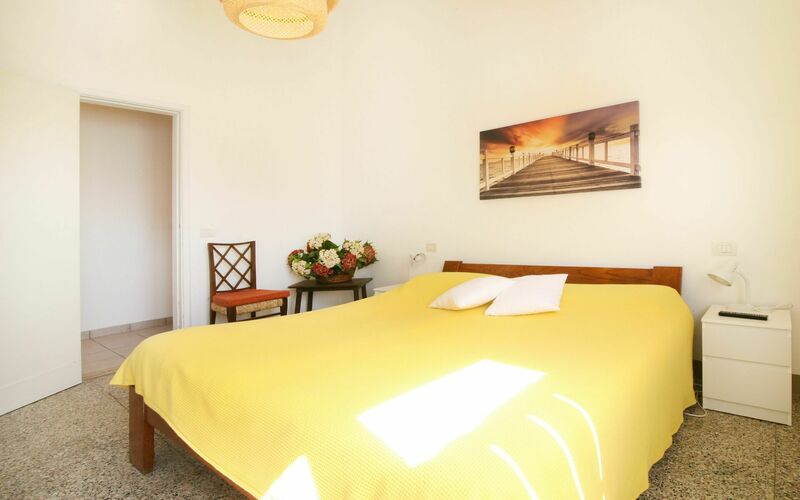 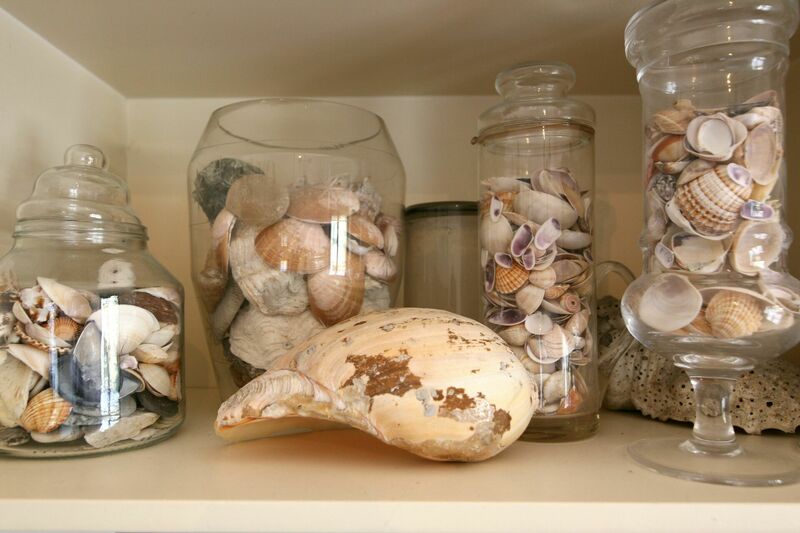 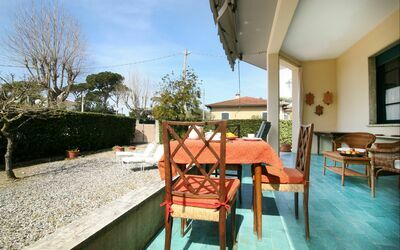 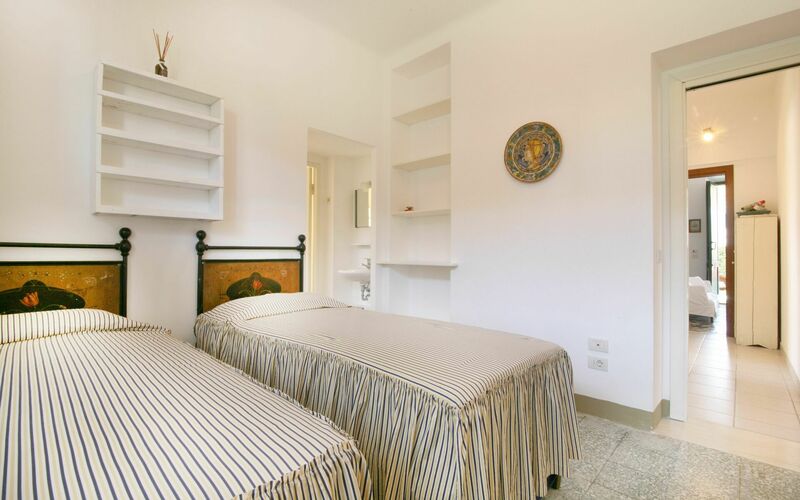 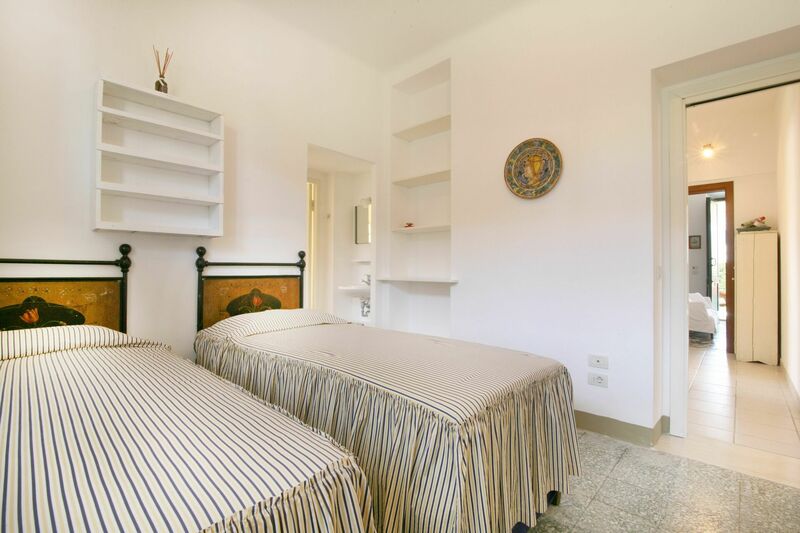 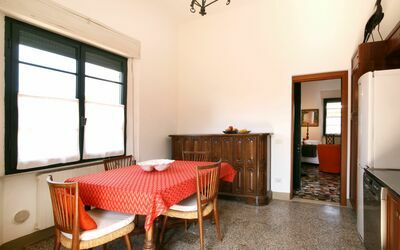 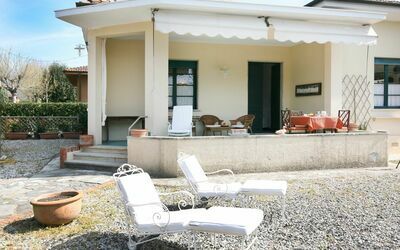 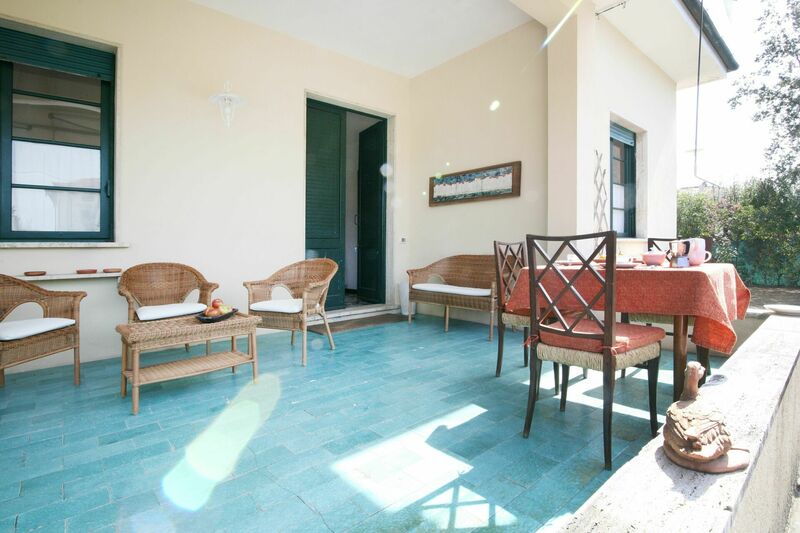 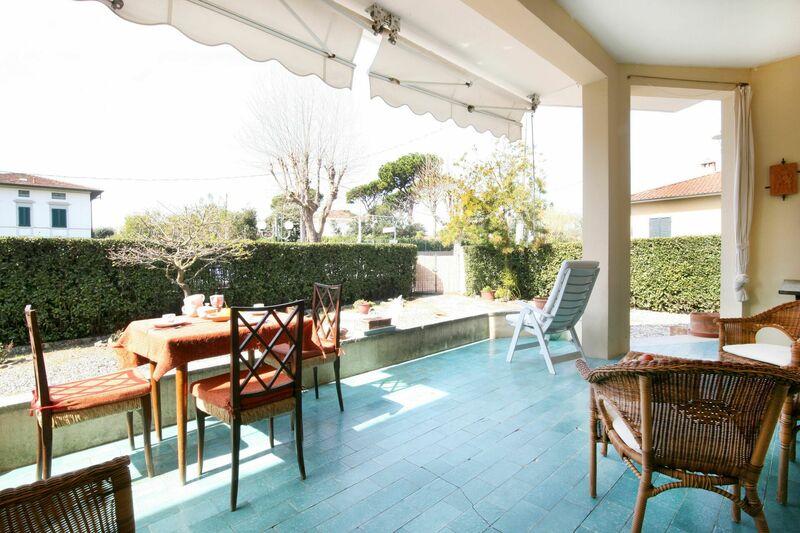 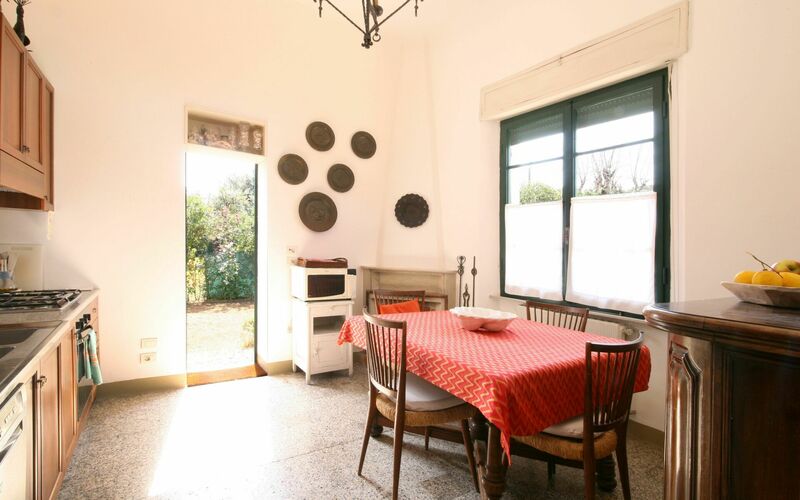 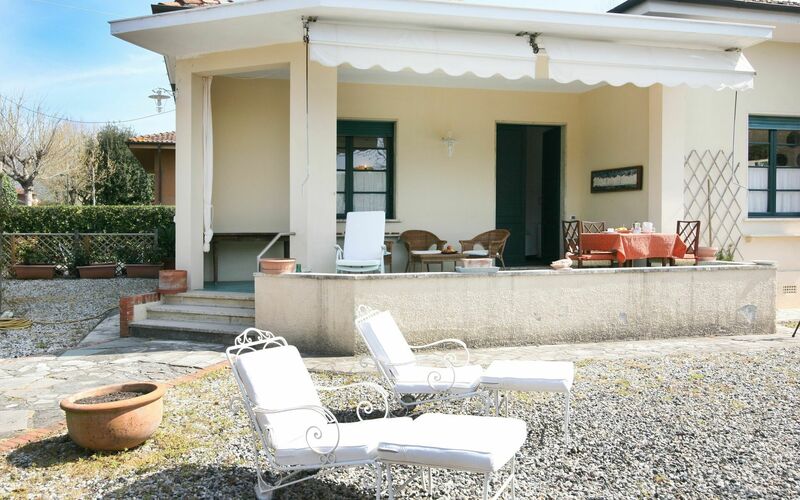 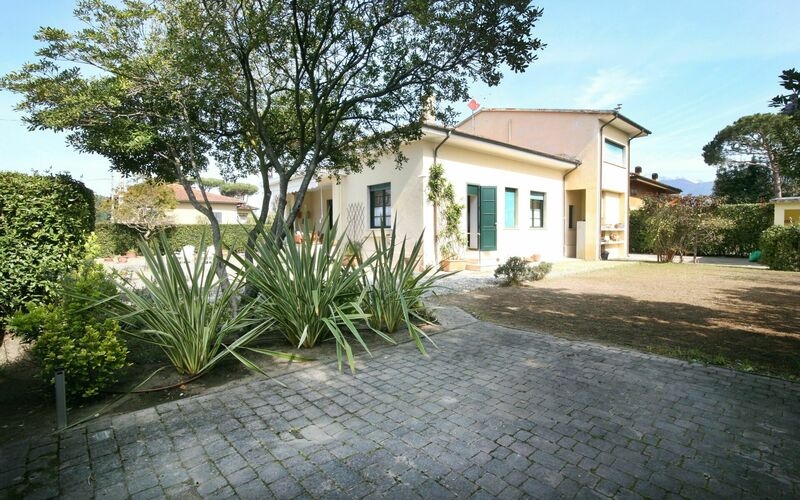 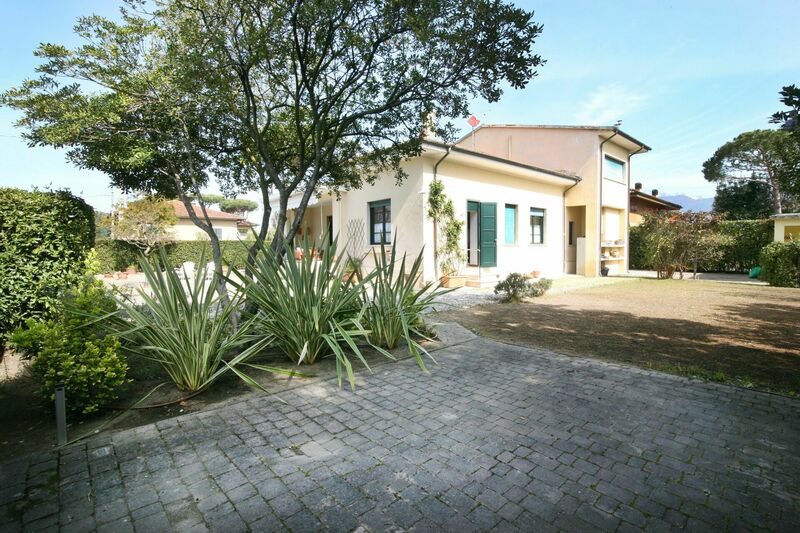 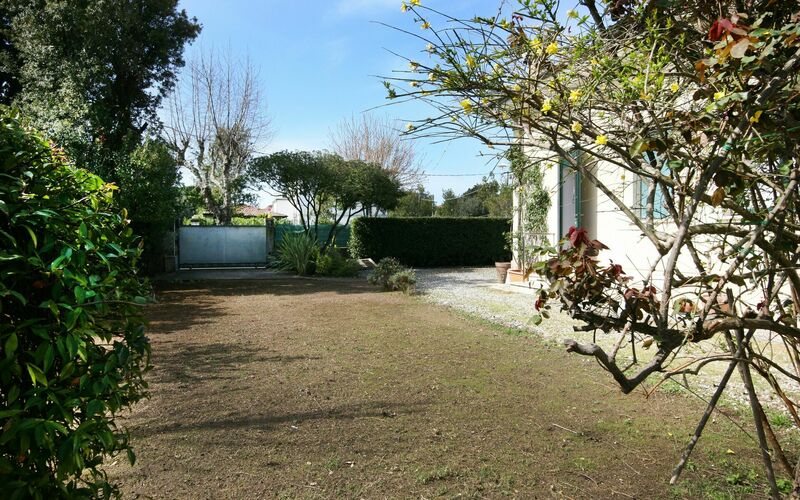 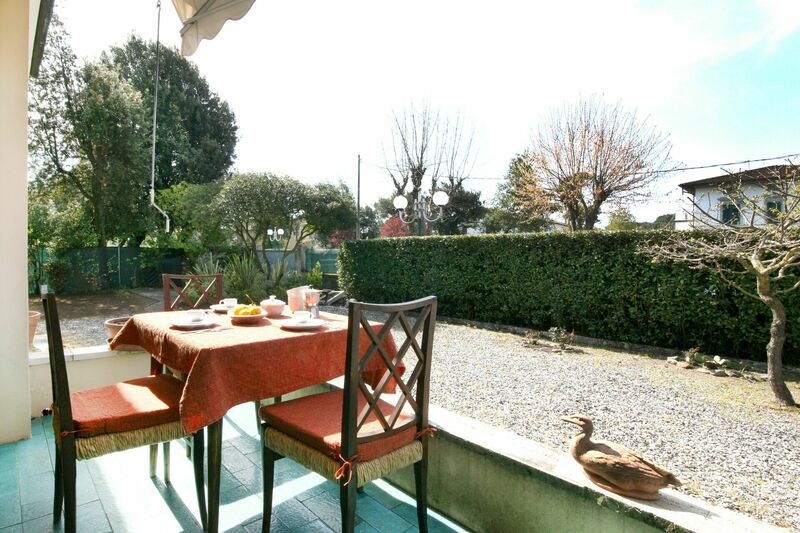 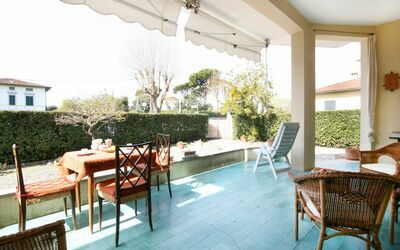 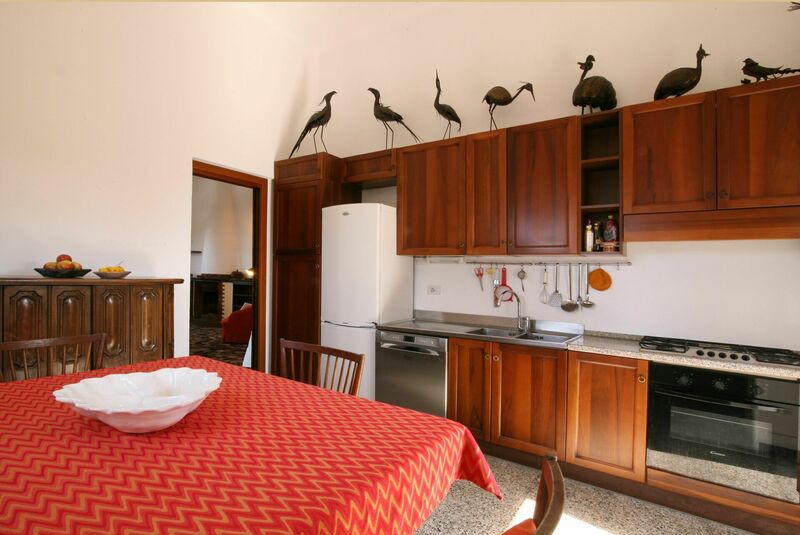 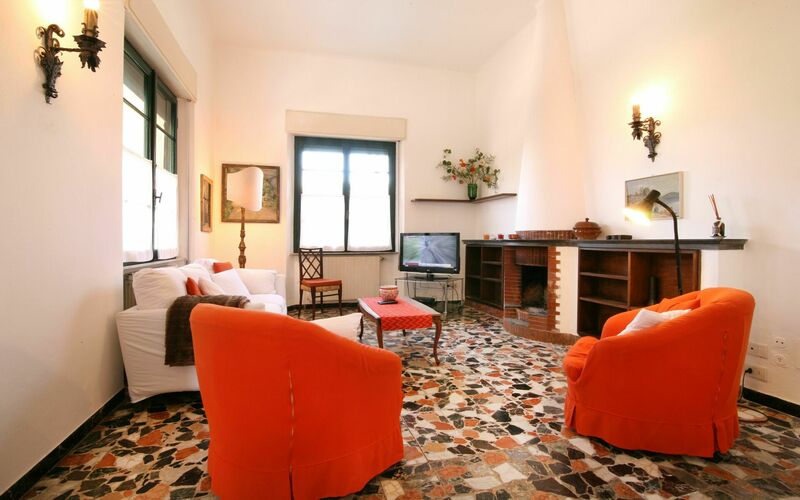 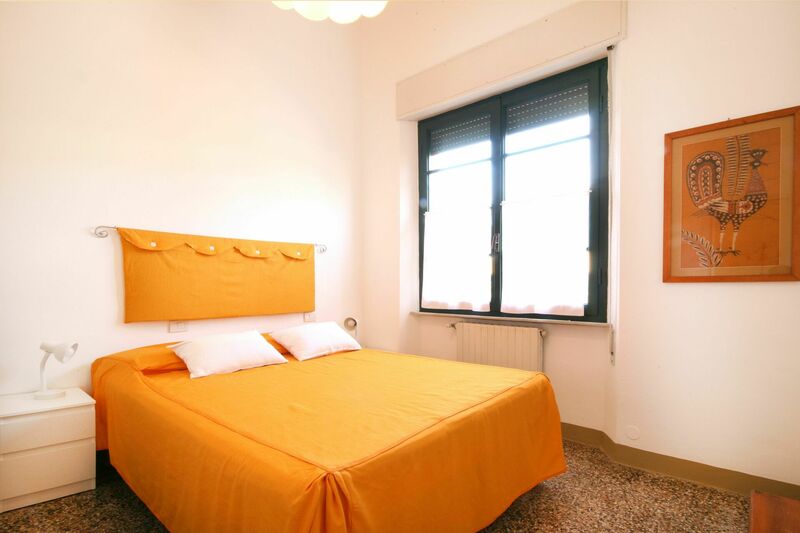 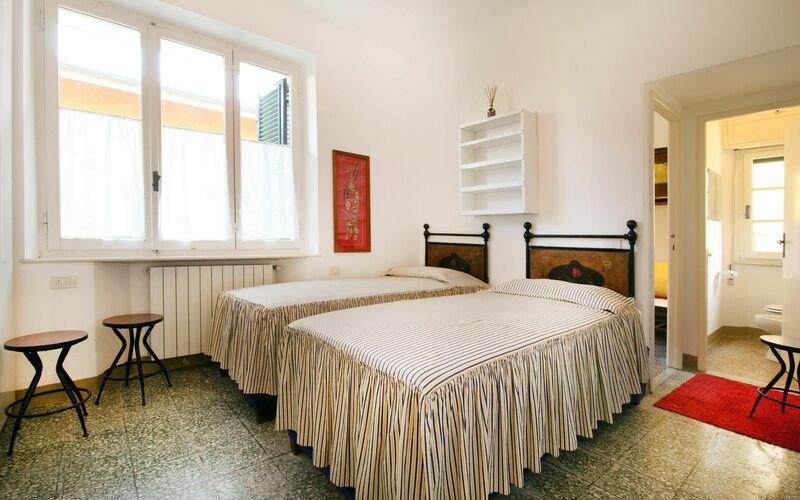 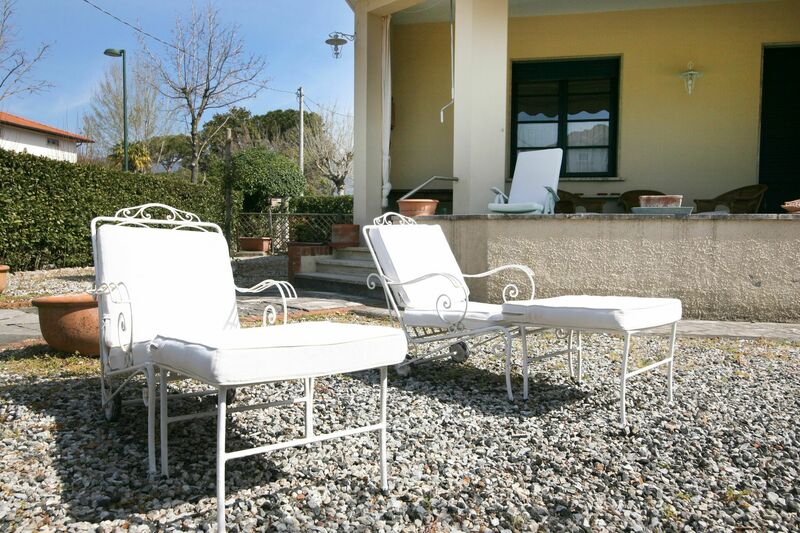 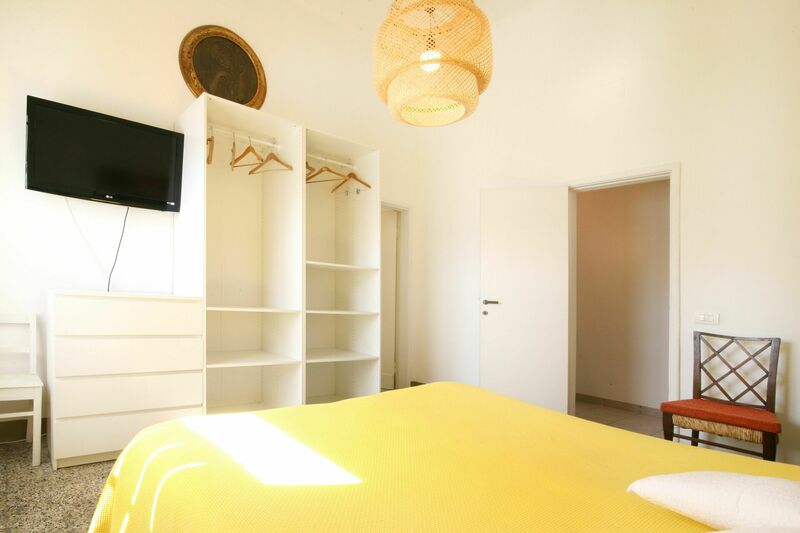 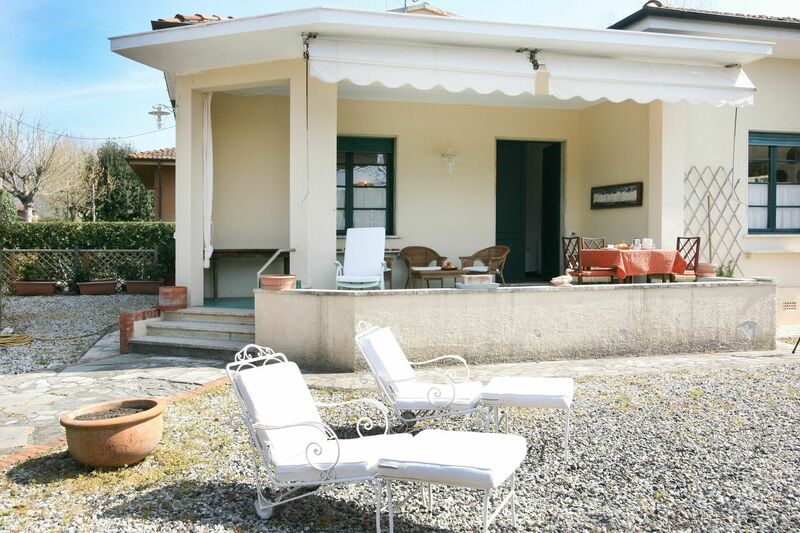 The Holiday Apartment Maria inside Villa Mazzini in Forte dei Marmi is on the ground floor and features a private garden with outdoor furnishings, private parking space and a covered terrace where to dine or relax. - Living Room with TV, Sofa, Armchairs, fireplace and door to the terrace. - Kitchen with dining table, dishwasher, 4 cooking fires, oven, fridge/freezer and door onto the garden. - Double Bedroom with TV. 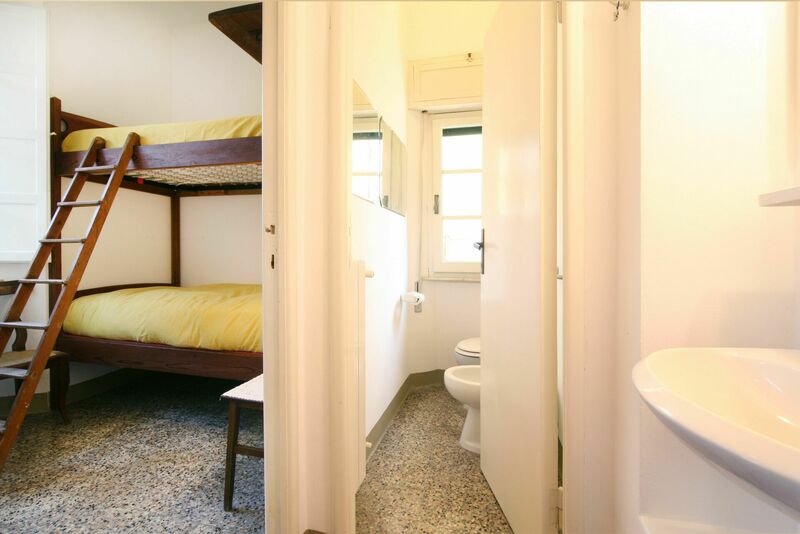 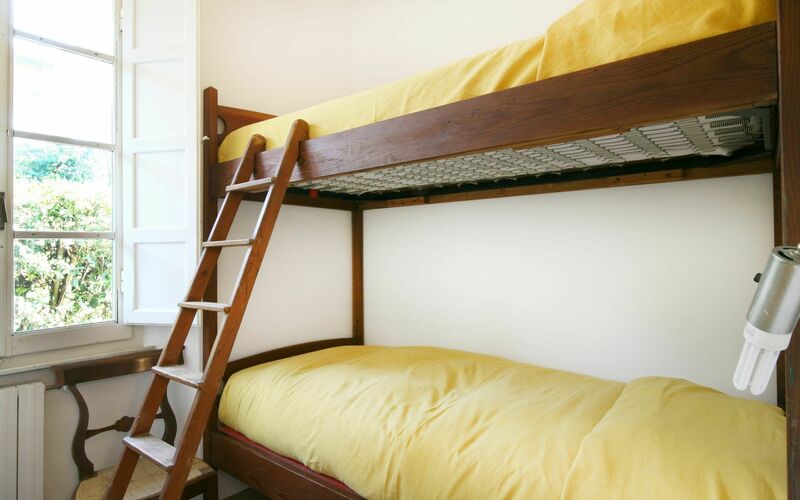 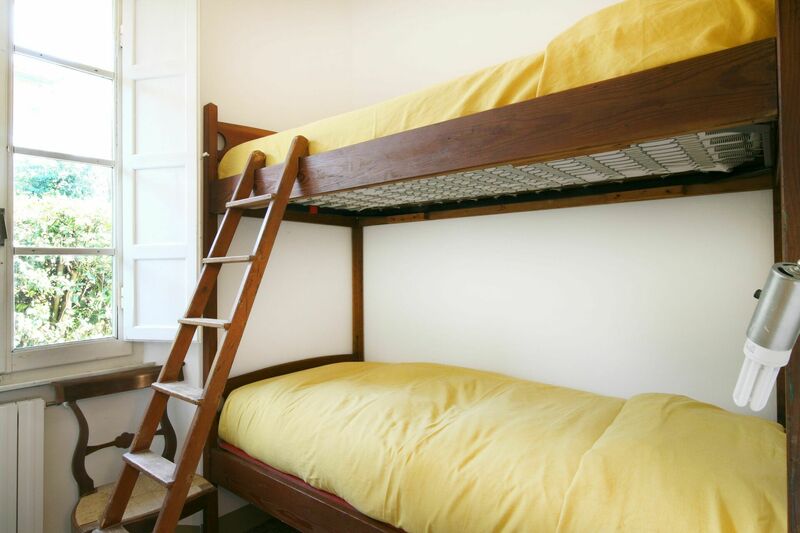 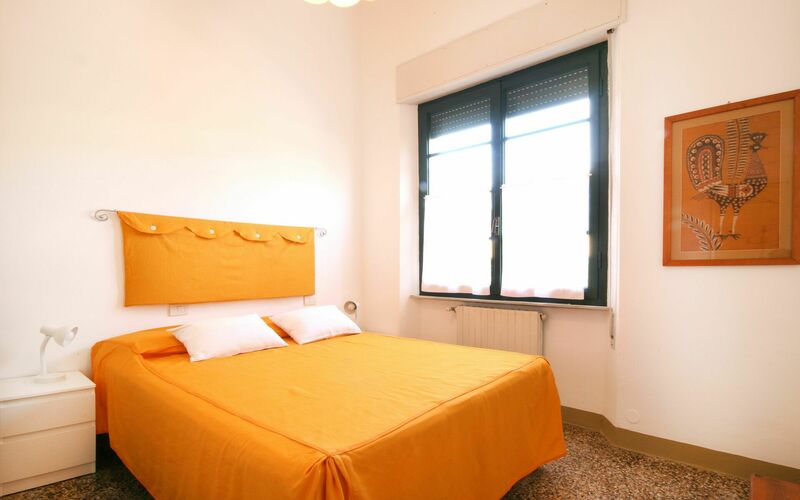 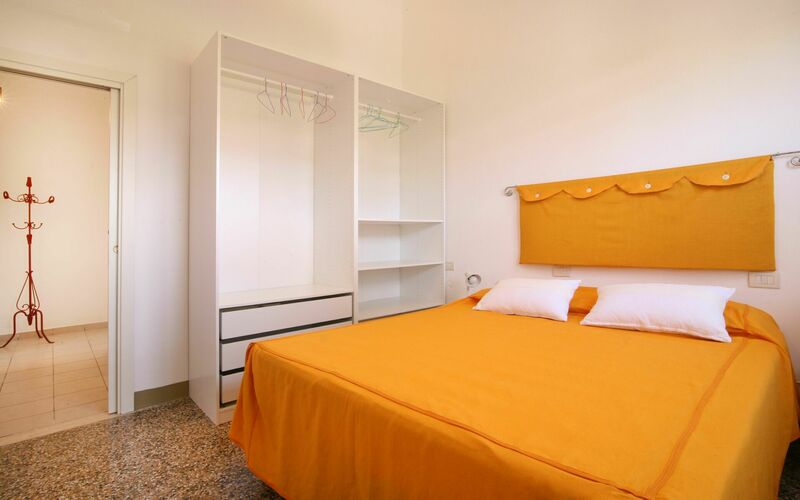 - Bedroom with 2 single beds, toilet and additional room with bunk bed. 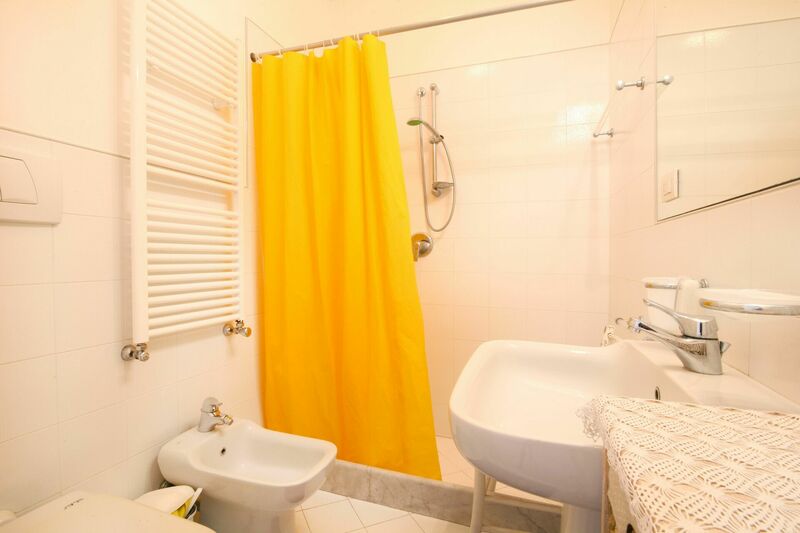 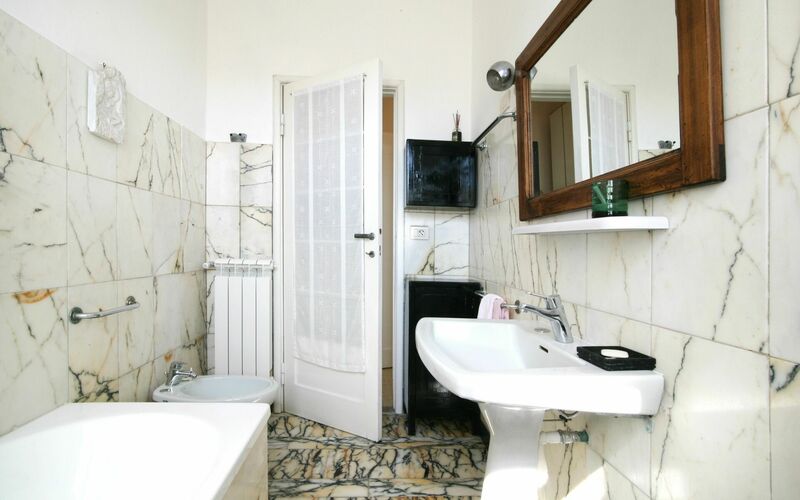 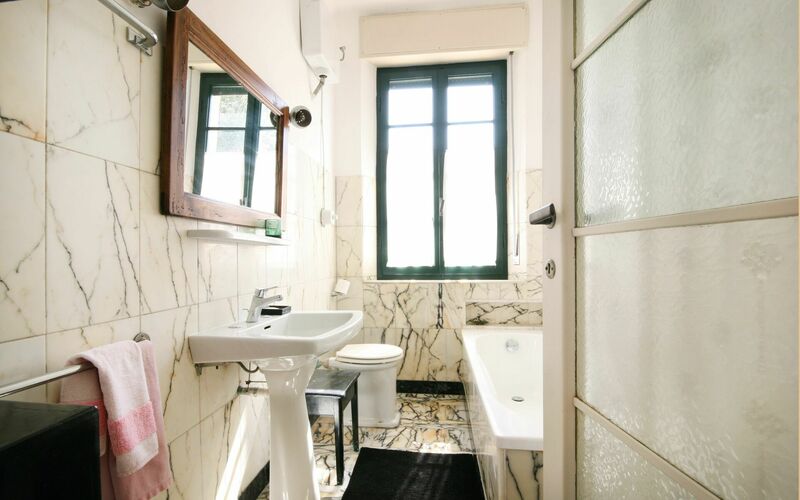 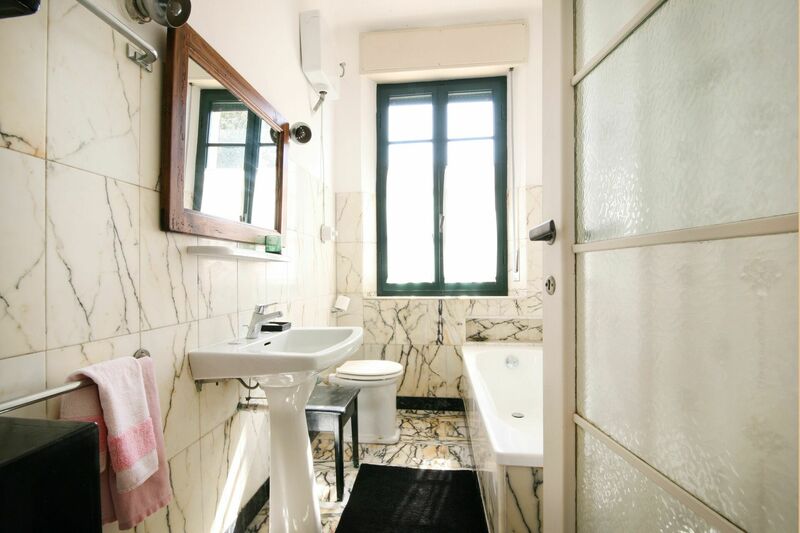 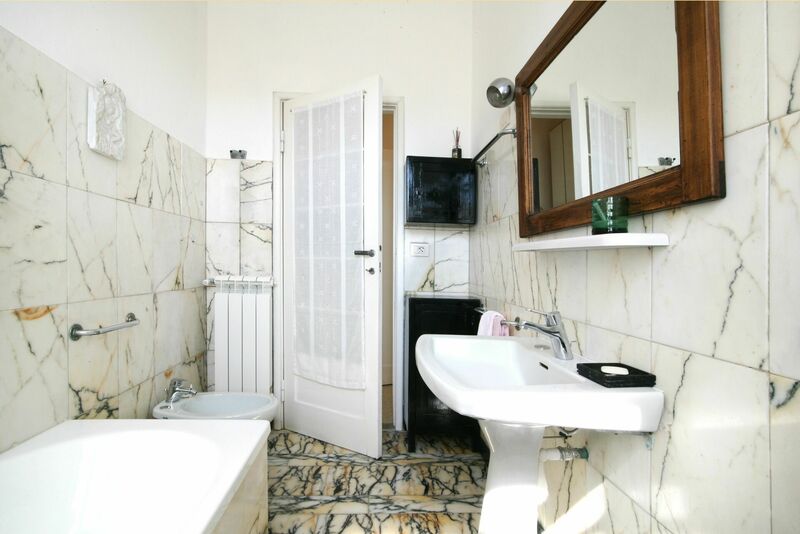 - Bathroom with bathtub, bidet, WC and basin. 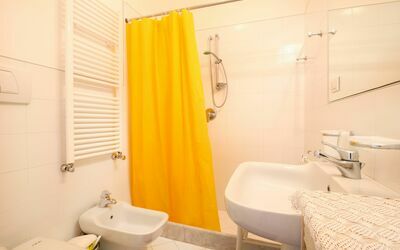 - Bathroom with shower, bidet, WC and basin. 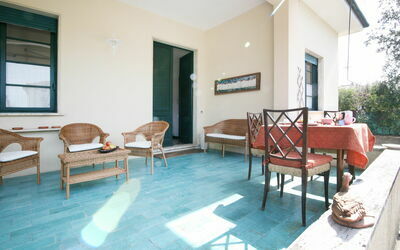 The apartment is covered by WiFi Internet. Apr 20, 2019 May 04, 2019 Any 7 € 187 n.a. 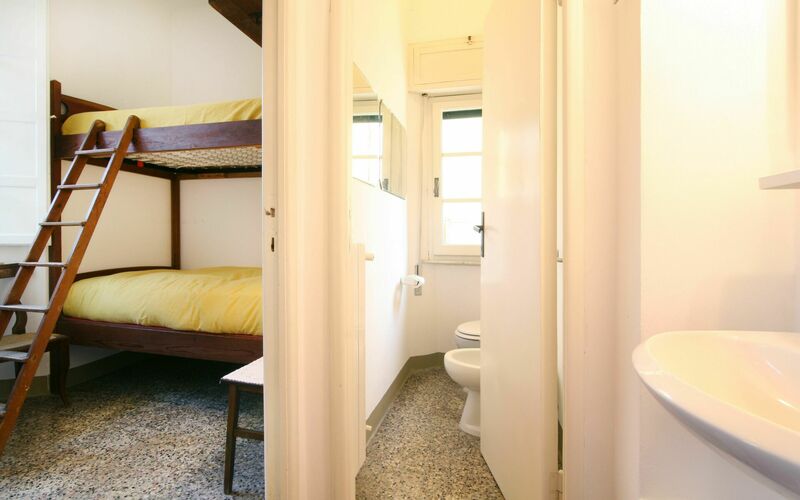 May 04, 2019 May 25, 2019 Any 4 € 125 n.a. Sep 28, 2019 Oct 31, 2019 Any 4 € 125 n.a.